After we have helped you select the perfect location for your new Pools Plus pool, our seasoned professional installers will lay out your pool according to size and design. 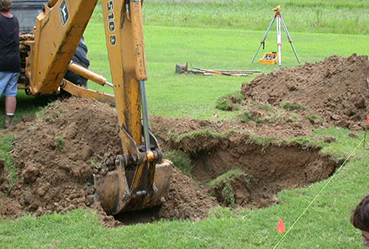 Our excavator will begin digging your pool site to the proper depth and shape. The contours will be finished by hand and your pool panels layed out in the correct sequence to prepare for assembly. Your interlocking steel panels will be assembled and the support system put in place to form a rigid structure. To provide additional strength, a bond beam cemented collar is poured around the perimeter of your pool. 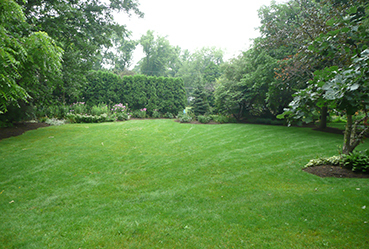 A sand or vermiculite bottom is then trowelled to a smooth finish. 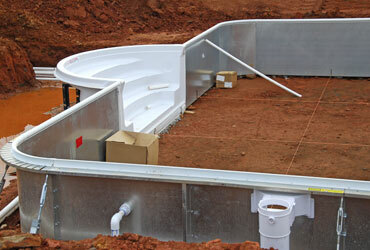 The walls of your pool are then back filled and ready for the final stages. The vinyl liner is then snapped into place. 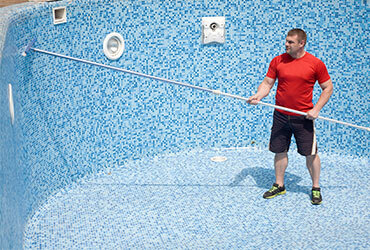 We use a vacuum to remove any air trapped between your pool walls and liner, assuring a tight fit. 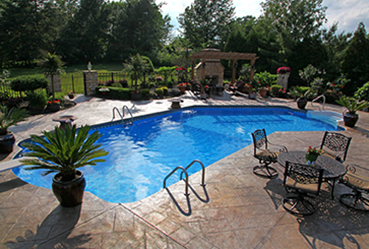 Our concrete deck experts pour a deck around your new Pools Plus pool. Add water, family, fun, and a beachball to enjoy your new home for simple pleasures!